New York State Senator George Latimer was chosen by Westchester democrats to run against republican incumbent Rob Astorino for Westchester County Executive on Tuesday, September 12th. The Westchester Board of Elections reported that Latimer won the Democratic Primary with 23,673 or 63% of the vote while opponent Ken Jenkins received 13,803 or 37% of the vote. Latimer also received 1,507 Reform Party votes, due to his being the only name on the ballot. The results for the write-in option have yet to be announced. Latimer and Jenkins both waited for information on the results in their Mount Vernon headquarters. Local Live reporter, Mike Witsch spoke with George Latimer, while Local Live producer, Sheyla Navarro spoke with Ken Jenkins. Upon hearing the results of the primary, Jenkins thanked his campaign staff and supporters and vows to give the county back to the democrats. Election Day will be November 7th. And please remember that the last day to register to vote is October 13th. On Tuesday September 12th, eleven residents of our community who died on September 11, 2001 were remembered at the Girl Scout Rock Memorial in the Town of Mamaroneck. Local Live reporter Kristy Cappiello was on hand to cover the event. Since the Larchmont Playhouse closed last fall, its future has been undetermined. 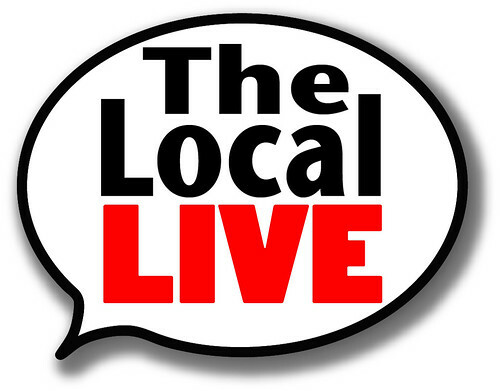 The Local Live recently spoke with Betsy Bradley and Ellen Zuckert from the community-based group, Friends of the Larchmont Playhouse to get an update on the situation. The playhouse is expected to undergo renovations in the following year and will reopen by early 2019. On Friday, September 8th, US Senator, Chuck Schumer came to the Village of Larchmont to address the ongoing complaints from residents and public officials of both the Village of Larchmont and the Town of Mamaroneck regarding mail delivery in our community. The complaints include missing mail, irregular delivery as well as mail being left in unconventional places. Schumer called on the post office for answers to the situation. Town of Mamaroneck resident, Eleanor Sherman was among the residents with complaints. She said that she heard that the issues had been fixed but she is unconvinced due to the fact that she is still having problems. The post office stated that a “staffing shortfall” had contributed to the inconsistent service. US Postal Service spokesperson, George Flood said the hiring of a new permanent postmaster as well as having supervisors walk certain routes had led to a decrease in the amount of the complaints but due to the problems still persisting, the post office hopes to hold a town meeting regarding the issue in the near future. On Sunday, September 10th, the annual Kiwanis Car Show was held at Harbor Island. Local Live reporter, Aurora Fowles was there to cover the event. Our Pets of the Week are Patty, a ten-year-old Tuxedo cat and Phoenix, a year-and-a-half-old Lab Mix. Patty is friendly with all including other cats. She is laid back and loves sitting, lying down and eating. She would be perfect for a relaxed environment. Phoenix is shy but once he gets comfortable, he really loosens up. He likes to play, run around and of course, take walks. He would be a good companion for either your child or spouse who has been wanting a dog as a playmate. To adopt either Patty or Phoenix, or to look at other pets, please go to www.ny-petrescue.org for more information. The Local Live is always looking for new interns and volunteers, so please send us your emails at thelocallive@lmctv.org. We love hearing from you. Nearly 800,000 “Dreamers” or undocumented youth, who came to this country illegally as children are in jeopardy of being deported due to President Trump ending the DACA program that President Obama started in 2012. DACA, which stands for Deferred Action of Childhood Arrivals protected the children from being deported. Trump ordered Congress that legislation to end the program within a six-month period. Local public officials quickly reacted to the news. US NY State Senator, Kirsten Gillibrand tweeted: “It’s time to give Dreamers the path to citizenship that they rightly deserve and pass the DREAM Act”. Westchester County Legislator Catherine Parker joined Gillibrand and added, “Feeling very angry today over end of DACA. Our country is better than that. Congress must pass Dream Act. Thanks Kirsten Gillibrand for the new hope”. NY Governor, Andrew Cuomo tweeted: “Racism and bigotry are the greatest threats this country faces. In New York, we believe in diversity. #DefendDACA”. Village of Mamaroneck Mayor, Norman Rosenblum called on Congress to find a way to provide full citizenship to DACA recipients whom he referred to as “law-abiding and hardworking:. The Larchmont-Mamaroneck Community Resource Center has helped over three hundred individuals apply for DACA and renewals. Co-executive Director, Jirandy Martinez said, “they have lived, studied and worked among us and in our communities for most of their lives”. She noted that there six months to build a strong movement in support of the Dreamers. She urged that supporters get informed, connect with local groups and “join our fight”. The CRC will hold a forum for DACA recipients and updates on Thursday, September 14th, from 6:00 to 8:00 p.m. Our Round Table on next week’s show will feature a discussion regarding DACA. The two Democrats who are hoping to face Republican incumbent County Executive, Rob Astorino this November squared off in a primary debate that was held last week. The debate was organized by the League of Women Voters and was held at the Chappaqua Library. Both County Legislator Ken Jenkins and State Senator George Latimer vowed to support the winner of the primary which will be held Tuesday, September 12th. Astorino has won the past two elections, even though registered democrats outnumber republicans by a margin of two to one in the county. Latimer linked Astorino’s politics to being similar to President Trump’s who took only 31% of the vote in Westchester. Jenkins, who argued that he would be best for the position, stressed his support for the democrats and hopes that the party will be able to avoid the mistakes made in 2009 and 2013 which led to victories for Astorino. This past Saturday, residents and officials of the Village of Mamaroneck convened at Columbus Park to celebrate the Founders of the Police Benevolent Association All Stars Womens Softball and Mens Basketball teams. The teams played from 1970 to 1973 and had a positive impact on the community. They also unveiled a special plaque with the new name for the basketball court. The court will now be known as The Weign Carrington Court. Carrington helped build the court and was a local peacemaker. Local Live reporter, Mike Witsch spoke with the new Executive Director of the Larchmont Mamaroneck Continuing Education Center, Diane Cashman. Comedian Kaitlyn Murphy, a Rye Neck High School graduate, has put together a parody video of the Chainsmokers and Halsey’s song, “Closer” entitled “Further”. Here’s a sneak peek. If you want to see the entire video, check it out on Youtube.com at her channel, www.youtube.com/kaitlynmurphy. Our Pets of the Week are Courtney, a tortoiseshell cat and Shirley, an adorable pup. Courtney, whose breed gets its name for resembled a tortoise’s shell, gets along with other cats. She is very laid back and would be suitable for a calm home. Shirley is shy and sweet. She is housebroken and sleeps quietly through the night. She is a little skeptical and needs a calm, quiet home preferably with another friendly dog to feel comfortable.. She would not be good in a home that has a cat. To adopt either pet or to learn about other pets, please go to www.ny-petrescue.org. Starting last Tuesday, August 29th, drivers must slow down when passing Mamaroneck High School on the Boston Post Road. Senator George Latimer and Assemblyman Steven Otis, as well as local safety advocates unveiled new speed zone signs to protect both students and drivers. Eugene Warrington, the owner of Walter’s Hot Dogs passed away recently at the age of ninety-five. He became as legendary and iconic as the hot dogs he made famous. His great-grandson, Gene-Christian Baca said, “when people think of Walter’s, besides the hot dogs, they think of the experience, they think of Uncle Gene”. LMCTV and The Local Live would like to give our condolences to the family. The volunteer firefighters of Larchmont are raising funds for breast cancer research. They’re selling special-made t-shirts with all the profits going directly to the Breast Cancer Research Foundation. For more information on how to purchase a t-shirt, go to www.larchmontfire.net. This September, Mamaroneck and Larchmont officials are starting a composting program that will allow local residents to collect and dispose of food scraps such as fruit, vegetables, fish and even paper plates at the Village Recycling Center at 40 Forty Maxwell Avenue. The food waste will then be turned into reusable compost. School is starting again and on this week’s Local Lifestyle segment, Rebecca Berman has ideas for school lunches that will make your kids happy. Our Pets of the Week are Christian, a cat and Reba, a three-year-old Labrador mix. Christian, who has totally healed from being hit by a car about a year ago, is big and strong. He gets along with easy-going cats and friendly dogs. He is laid back and loves food. Reba is charming who loves going on walks and loves her humans. She is excelling her manners training and is crate trained. To adopt either Christian or Reba, or to get information on other pets available for adoption, please go to www.ny-petrescue.org. There was a fantastic show in the sky on Monday, August 21st, as the sun and moon came together in a solar eclipse. Local Live reporter, Aurora Fowlkes covered the spectacular event. The Larchmont Library is thankful to all the local residents who came to watch the celestial experience of a lifetime. The library said that even though they underestimated the number of people that showed up, they’re already planning for the next solar eclipse. On Friday, August 25th, the new Tappan Zee Bridge opened after construction that lasted for the past four years. The Local Live spoke with Rye Neck alum, Wesley Walsh who was one of the project’s builders. Love Larchmont, a local group on Facebook, has become a very valuable asset to the community. Amy Divito asked for advice from the group when her son lost his hearing aid recently at Flint Park. She sent a request for a metal detector to the community. Friends and strangers came to her aid and exhibited what a warmhearted village Larchmont really is. Amy’s story shows that “Love Larchmont” is more than just bringing new business to the local community, but it is also about initiating involvement in the community. Tiffany Smith, the founder of the group, said, “when we decided to create Love Larchmont, we never expected to have almost 5,000 members! We are so fortunate to live in such a beautiful place filled with thankful, kind, caring and loving people”. In our Round Table discussion, Maura Carlin spoke with Mamaroneck resident, Kevin Duarte, Larchmont resident, Chloe Maluschaga, and teacher aide, James Washington, Mamaroneck teacher aide about what happened recently in Charlottesville, Virginia. Recently, over forty paddle-boarders travelled from Westchester to Long Island for Save the Sound. Local Live reporter, Alexandria Garcia covered the event. Our Pets of the Week are Roscoe, an adorable 4-year-old dog and Sherry, a two-year-old Tuxedo cat. Roscoe weighs about forty-two pounds He loves people and going on long walks. He would do best as an only dog and is succeeding in his manners training. Sherry has the sweetest personality. She loves attention and being petted. She is afraid of other cats so it would be better for her if she is the only cat in the household. To adopt either Roscoe or Sherry, or to learn about other available pets for adoption, please go to www.ny-petrescue.org. Scott Rosenberg, the owner of Ralph’s Italian Ices is suing the Village of Mamaroneck for $300,000 in damages and he is asking to reopen his store. According to his lawyer, Andrew Schriever, who filed the lawsuit with the State Supreme Court, which was ultimately denied. According to The Daily Voice, the suit alleges that the VIllage acted in a vicious manner in their decision to forcefully close Ralph’s. The suit names the Zoning Board of Appeals, Building Inspector Dan Gray, as well as an unknown number of residents who were opposed to the business being opened as defendants. Both parties have until August 31st to settle the matter. The Town of Mamaroneck Democratic Party Committee has announced its candidates for 2017. According a press release that was put out by the committee, the slate of officials includes Supervisor, Nancy Seligson, Town Council member Jaine Elkin-Eney, Town Justice Ron Meister and first-time candidate, Sabrina Fiddelman for Town Council. At present, all of the candidates are running unopposed. Election Day is November 7th. Kyle and Jaden Snow of Mamaroneck each brought home medals after competing at the USA Track and FIeld Junior Olympics National Outdoor Championships. The boys competed on behalf of the Notre Dame Track Club. Kyle participated in the Boys 9-10 Triathlon and won a bronze medal for placing third in the competition, while Jade participated in the Pentathlon, finishing sixth. Congratulations, Kyle and Jaden! Meryl Rubinstein, Mamaroneck Public Assistant Superintendent for Business Operations, is retiring after spending a decade in the position. The Mamaroneck Public School District praised her and said in a press release that was sent to the community that they “are confident she has paved the way for her successor’s success”. Kathleen Ryan, who previously held the same position in the Rye City School District and the Croton-Harmon School District, has been named as Rubinsteins’ successor. Larchmont is saying goodbye to its favorite UPS delivery man, Fernando Remigio after twenty-six years on the job. Remgio, who lives in Rockland County, started delivering for UPS in 1993, and has made several real connections with his customers. Larchmont resident, Elisabeth Cavanagh, one of those customers who shared a bond with Remigio, took her appreciation for her favorite delivery man to the next level by starting a Go Fund Me page to raise money for a retirement present than anyone can donate to. The goal is to raise$3,000. What a sweet gesture from Larchmont residents to do for Remigio. If you would like to donate, go to gofundme.com. Local Live report Meral Kathwari spoke with Jupiter Joe about the eclipse that will occur on Monday, August 21st. In the Spotlight, Local Live reporter, Sibylla Chipaziwa spoke with David D’Amico of Abeetz Pizza Truck about what is making his food truck the highlight of the summer. On August 10th, The Local Live held a live pet adoption version of the Round Table during the Mamaroneck Avenue Block Party. NY Pet Rescue has announced that four out of the five puppies that were showcased have found their forever homes. With that happy news, here are our Pets of the Week, Cub, a two-and-a-half year old Chow Mix and Cupcake, a handsome Tabby cat. Cub, who weighs about forty-five pounds, loves long walks and car rides. He can be a bit anxious and would do best in a suburban home with a female dog or a quiet, appropriate dog. Houses with cats are not recommend. Cupcake is a real charmer and is also a feline dynamo since she is very playful. She has beautiful and striking markings. She would do best as the only cat in an active household that does not have small children. To adopt either Cub or Cupcake, or to find out about other pets, go to ny-petrescue.org. The Local Live is asking for your support by making an online donation. It would help us purchase new set furniture. To make a donation, please go to our website, www.lmctv.org and click on the DONATE button. You can also check out our wishlist. We appreciate any and all donations.